Far more than most therapists realize, the process of psychotherapy embodies the universal search for meaning, wholeness, and transcendence inherent in the religious quest. Indeed, the great majority of therapy clients, sensing the importance of addressing the spiritual realm in their healing and growth, yearn to explore their religious, spiritual, or mystical experiences at some point in therapy. The great majority of therapists, however, have little or no training in discussing these matters, and often unknowingly inhibit their client's religious search by their indifference or avoidance. But Where Is God? 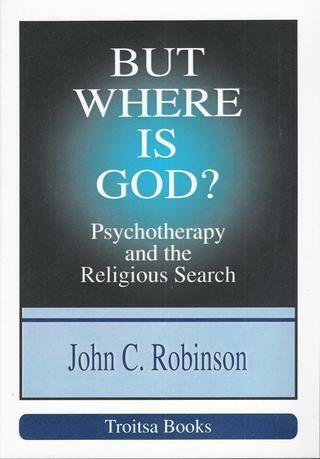 Psychotherapy and the Religious Search skillfully addresses this gap with a comprehensive yet readable integration of theoretical, historical, spiritual, professional, and experiential information. Dr. Robinson argues that bringing spirituality into psychotherapy is now culturally and scientifically possible, appropriate, and most of all, exciting, offering a whole new dimension to healing. Chapters include the potential liabilities and benefits of integrating psychotherapy and spirituality, the spiritual meaning of psychiatric problems and the psychological meaning of spiritual problems, a psychospiritual theory of personality development, wounding, and healing through the life span, spirituality in the consulting room, and life as a sacred journey. Inspiring to the religious seeker yet well grounded in psychological theory and practice, But Where Is God? Psychotherapy and the Religious Search provides a rich synthesis of the joys, risks, and realities of the spiritual path and its place in psychotherapy. Praise for But Where Is God? "I just finished reading But Where Is God? Psychotherapy and the Religious Search and feel it is a brilliant and far-reaching contribution to the overall integration of psychology/psychotherapy and spirituality. Certainly I've not seen anything else like your book." "A valuable resource for the practitioner, a one-of-a-kind, comprehensive survey of the burgeoning field of spirituality and psychology...You have accomplished this task in an exemplary manner, congratulations." "I wish you the very best of luck in bringing out your work...Its value is evident to me and you deserve a large and grateful audience for it."